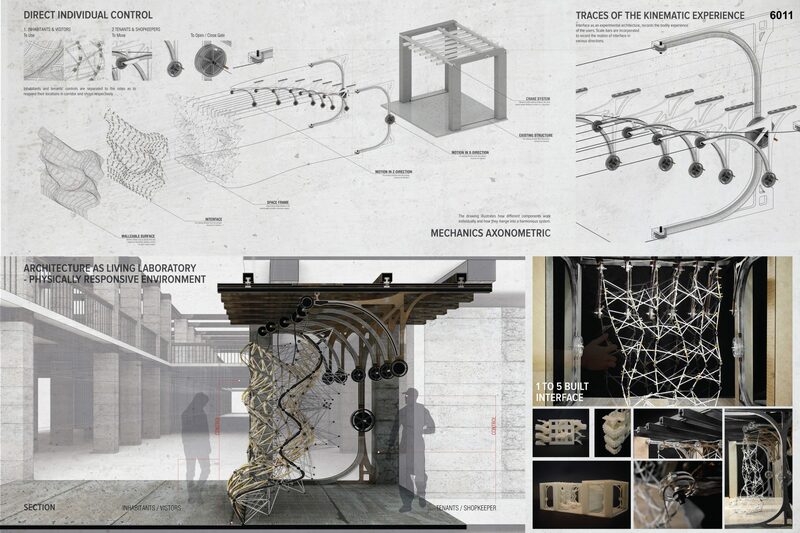 WINNING PROJECT – Innovative Minds 2014 – Interface – Metamorphosis in Architecture | gURROO - A new generation of innovative minds. The rapid shift of how inhabitants occupy spaces is the consequence of the intensive internalization in Chungking Mansions.People occupy and create spaces depends on how they understand and think of spaces. This project looks at the transforming qualitative dimensions of moving bodies and how it intersects with the environment. 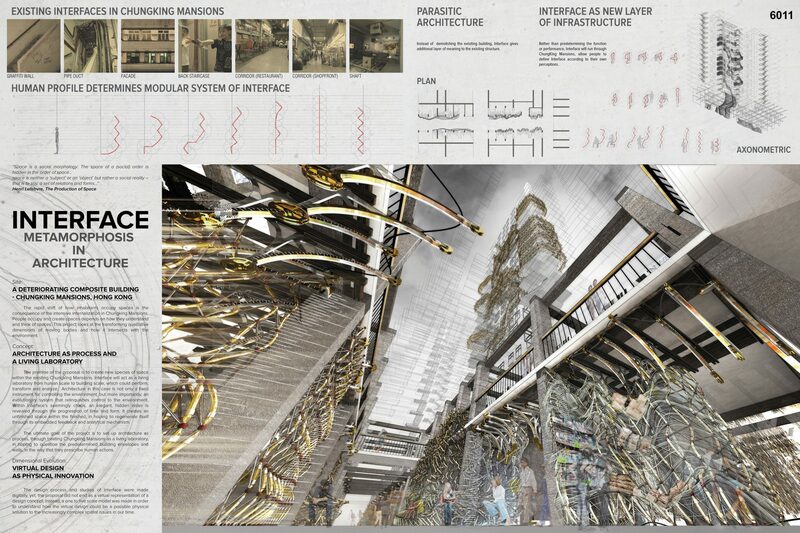 The premise of the proposal is to create new species of space within the existing Chungking Mansions. 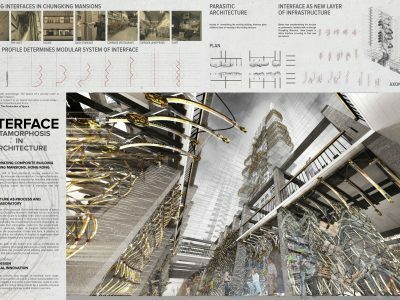 Interface will act as a living laboratory from human scale to building scale, which could perform, transform and analyze. 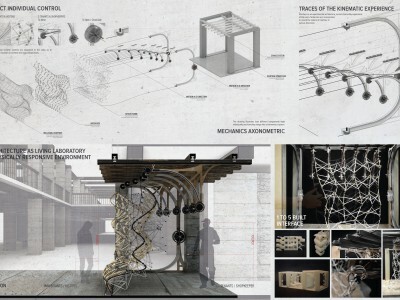 Architecture in this case is not only a fixed instrument for controlling the environment, but more importantly, an evolutionary system that relinquishes control to the environment. Within Interface’s seemingly chaos, an elegant, hidden order is revealed through the progression of time and form. It creates an unfinished space within the finished, in hoping to regenerate itself through its embedded feedback and analytical mechanism. The ultimate goal of the project is to set up architecture as process, through treating Chungking Mansions as a living laboratory, in hoping to question the predetermined building envelopes and walls, in the way that they prescribe human actions. The design process and studies of Interface were made digitally, yet, the proposal did not end as a virtual representation of a design concept. Instead, a one to five scale model was made in order to understand how the virtual design could be a possible physical solution to the increasingly complex spatial issues in our time.